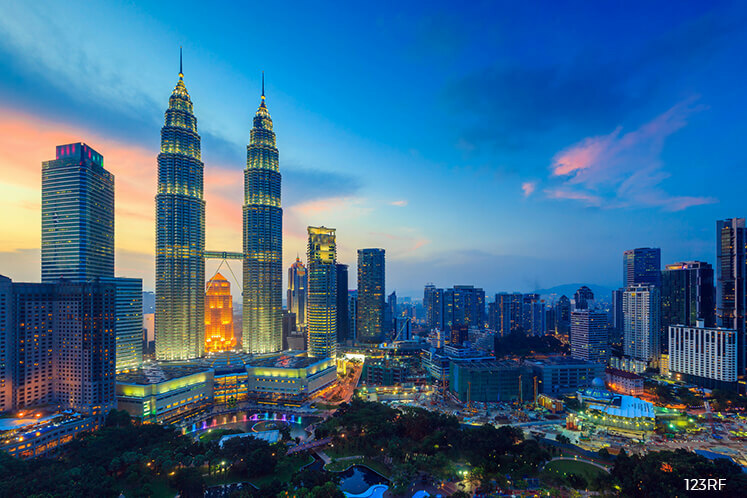 KUALA LUMPUR (June 13): The World Bank, which revised Malaysia's economic growth to 4.9% for 2017 from 4.4% forecast in April this year, called for better data management that can help the country achieve high income status. It also revised the forecast growth for 2018 and 2019 to 4.9% and 5% respectively. "The forecast for 2017 is an increase from the previous forecast, and slightly above the government's projection range of 4.3% to 4.8%. The upgrade is in line with consensus estimates, which expect a faster expansion in the economy," he said at the launch of the institution's bi-annual Malaysia Economic Monitor (MEM) themed "Data for development". The report focuses on the importance of good data and effective data management, and how it can inform policy-making and improve service delivery. It said good data can boost productivity in the private sector as data is used for product development, market analysis and evidence-based decision-making. In the public sector, a more integrated open data ecosystem can enable institutions including government data management agencies to pool information that can bring about services that are better customised, faster, cheaper and of higher quality. Meanwhile, Minister in Prime Minister's Department Datuk Seri Abdul Rahman Dahlan, who launched the report, said the government has started several initiatives to produce the data and statistics to meet policy needs in the Eleventh Malaysia Plan. Abdul Rahman also noted that there should more data collection on locales, such as information on inflation and unemployment on district levels to help with the creation of policies and interest local population on ground data. Zachau pointed out that good and reliable data is crucial for economic development. "As the demand for data is increasing in quantity and sophistication, Malaysia has the opportunity to build on its existing statistics infrastructure to broaden and deepen access to open data, and develop systems for data management that are fit to join the ranks of high-income economies," Zachau added.